Created to stand alone or to go with the other furniture in the Centennial collection, this Centennial Coffee Table from Armen Living is a unique choice for the modern home. 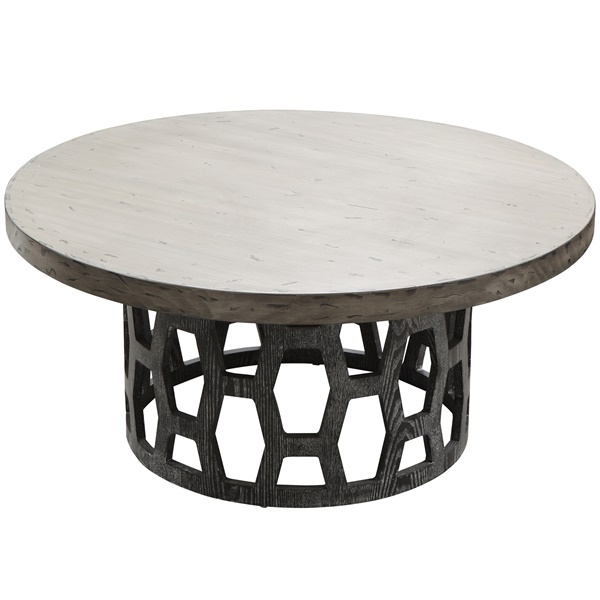 With a base that has an eye-catching honeycomb design made with quality oak and a bold, neutral color, this coffee table will be a beautiful addition to your home. Made with durable and sturdy ash veneer and MDF, this table will enhance the look of any home. Eye-catching honeycomb base in quality oak. Expert craftsmanship of solid wood and stable MDF. Ideal complement to other Centennial pieces by Armen Living.